This is one of the first healthy recipes that I came up with and definitely the thing I make most. I make it again and again and sometimes make multiple batches a day, either to stock up my own cupboard or to give to friends and family. It’s so easy, so delicious and so healthy and always turns out perfectly! 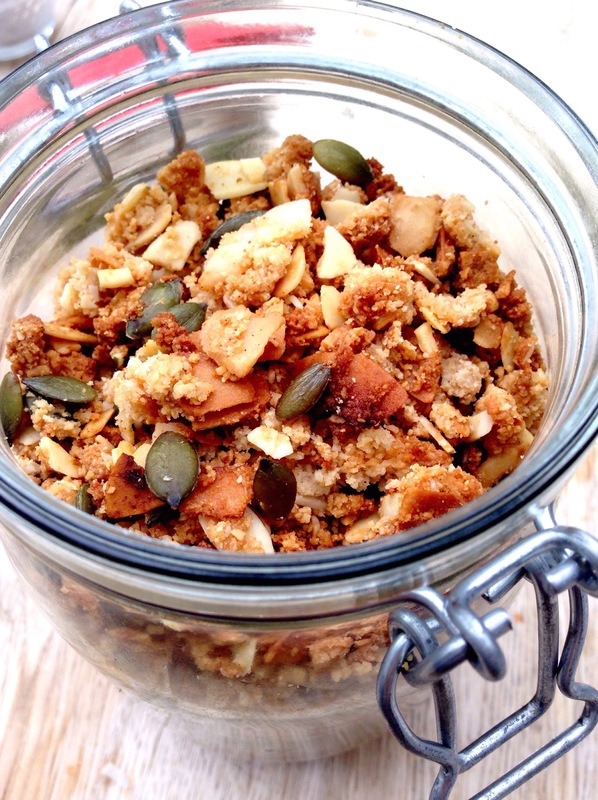 Sub in any ingredients you like and play around with different flavours like my Grain Free Carrot Cake Granola & Grain Free Maple Pecan Granola. Add all dry ingredients into a bowl and combine. Spread the mixture out evenly on a baking sheet and bake at 180 ‘C for about 15-20 minutes. Check it half way through and mix it around with a spatula so that it cooks evenly. When it’s a toasted golden colour take it out and use the spatula again to break up any big chunks. Leave it to cool completely before storing it so that it gets nice and crunchy.